Warmer weather means fun times in the life of a preschooler, with more chances to play and explore outside. And when Spring Break rolls around, you can take more advantage of these opportunities as a family. Spring Break and vacations go hand-in-hand, so we’ve compiled a list of some of the best springtime trips for families. Read up and pack your bags. Though your days of Spring Break party-on-the-beach-all-day times may be over, there’s no reason not to enjoy some sand and sun in a more laid back atmosphere with your little ones. Check out Fort Myers Beach in Florida. 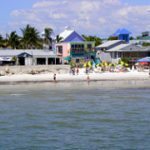 In addition to miles of white, sandy beaches for a relaxing day building sand castles and playing in the waves, Fort Myers offers unique and historic attractions. Check out the Mound House, a 2,000 year-old Calusa Indian shell mound at the William H. Case house. For an active day of adventure, visit the Fort Myers Beach Community pool with its obstacle course and water slide or explore the Great Calusa Blueway paddling trail, a 190-mile marked trail through coastal waters and tributaries with options for novices and those with experience alike. A cruise is the perfect way to explore the tropics without having to unpack your bags more than once, and many liners offer special programs for kids so everyone can relax. Disney Cruises have packages for different budgets, some which stop at their own private island, and their Camp Disney program entertains the kids while mom and dad enjoy the amenities, plus character experiences, shows, and more. 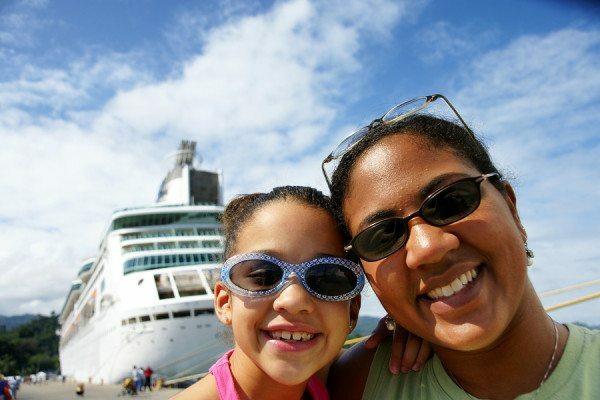 Carnival Cruises are also a great option for budget-friendly fun. Maybe snowy mountain tops are more your speed for an early spring vacation, and you’re looking for adventure and all-ages amenities. Smuggler’s Notch in Vermont might be the answer. In addition to skiing, hiking, and more, there’s also a fully licensed child-care facility onsite, if you need to hit the slopes without a tiny companion. 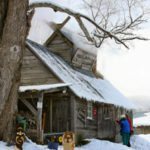 If you can go any time March 19-April 3, be sure to check out the MapleFest Celebration, learn about the historic maple sugaring process, and experience the fun Laura-Ingalls-Wilder-style. For more mountain life fun outside of skiing, consider a jaunt to the Smokey Mountains. Towns like Gatlinburg, Tennessee, full of taffy-pulling kitsch, and Asheville, North Carolina, with its artsy downtown and the Biltmore to explore, also boast proximity to great hiking, canoeing, rafting, and other outdoor activities. Check out Gatlinburg’s mini golf, go carts, and aquarium when you’re done horseback riding or tubing for the day. In Asheville, go birding, fishing, and camping before enjoying a meal at any number of their award-winning local restaurants (and be sure to try one of their local craft beers with your meal). 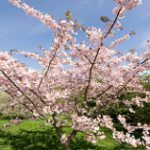 With all the attractions in our nation’s capital, like the Smithsonian, you can’t beat a springtime trip, especially during the Cherry Blossom Festival. Enjoy the beautiful pink blooms before checking out the kite festival or fireworks festival on the waterfront. On April 16, there’s even a parade with floats, balloons, music, and more. For many sports fans, springtime means spring training, so it’s a perfect time to take your family on Spring Break to watch your favorite teams get ready for baseball season. Head to Boston to watch the Red Sox and go on a walking tour of the city’s historic landmarks or ride in the duck boats. Take a trip to St. Louis for the Cardinals and a tour of the Gateway Arch. Or check out the Diamondbacks in sunny Arizona before you explore the Desert Botanical Gardens and Butterfly Wonderland or the Children’s Museum and Musical Instrument Museum. There’s enough fun for everyone. Maybe the thought of planning a vacation is enough to send you into tailspin stress mode, and once you’ve packed yours and your family’s bags you’re ready to let someone else take care of things for a while. An all-inclusive resort like one of those run by Beaches lets you relax once you arrive at your destination. Beaches even has a partnership with Sesame Street, so your children can play, explore, and watch shows with their favorite furry monsters during your island getaway. What are some of your favorite family destinations for Spring Break? Filed Under: Family, Travel Tagged With: all inclusive resorts, arizona, asheville north carolina, baseball, beaches, boston, carnival cruise, cherry blossom festival, cruises, disney cruise, families, fort myers beach, gatlinburg tennessee, great calusa blueway, hiking, horseback riding, maplefest celebration, rafting, skiing, smuggler's notch, spring break, spring training, st. louis, trips, tubing, vacation, washington d.c.